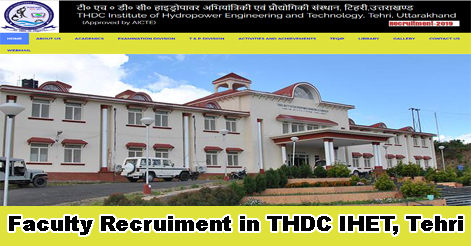 THDC, Institute of Hydropower Engineering and Technology, Tehri has released advertisement for the recruitment of Professor/Associate Professor/Assistant Professor and Librarian in various disciplines. Total No. of Post is 28. 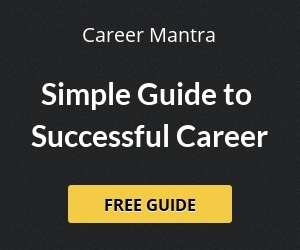 The candidates are required to apply in prescribed format and send the same by speed/registered post or Submit by Hand. The application complete in all respect shall reach to the Director of the Institute latest by 31 January 2019. Latest by 31-01-2019 (05:00 PM) by Registered/Speed Post or Submit by Hand. Candidate must write Department and post applied for on top of the envelope. Help us to improve this article/job posting "Faculty & Librarian Recruitment in THDC IHET, Tehri". We would be glad if you can comment below and provide your valuable suggestions and feedback. If this page have any wrong information/list or out of context content, then you can report us as well. Published on 24 January and the last date was 31 January.